As part of our ongoing efforts to support the community, Insight prepared peanut butter and jelly sandwiches for McKenna’s Wagon. McKenna’s Wagon is a mobile food truck operated through Martha’s Table, a DC organization dedicated to increasing access to education programs, healthy food, and family supports. This food truck provides homeless and hungry residents with hot meals, sandwiches, fruit, and other fresh food at three locations within the city every night of the year. 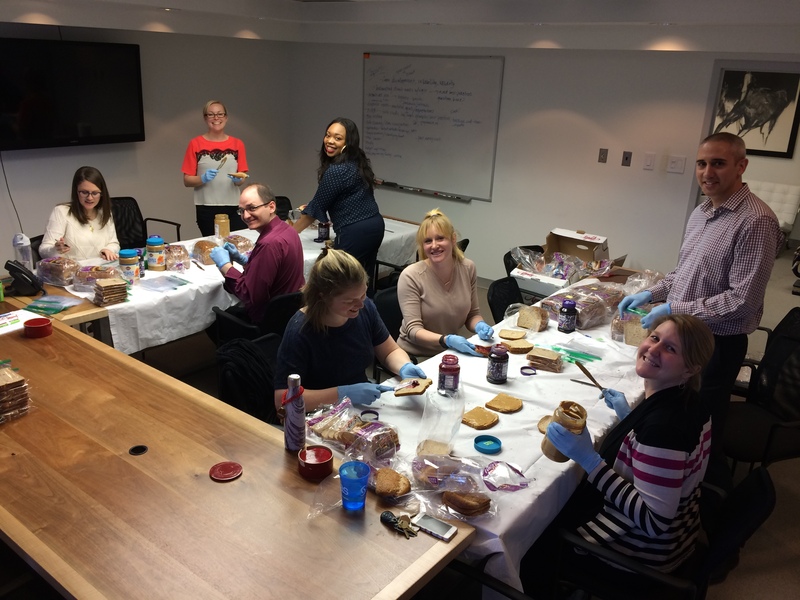 Insight team members had a blast assembling 192 sandwiches for donation and can’t wait to do this again!